Visit Canada’s premier arts town alive with theatre, creative character and innovative cuisine. Browse stylish boutiques and savour culinary delights in cozy cafés and chic bistros. The Stratford Chefs School, where the best chefs train, invites you to student dinners in their exciting new facilities. Stratford Perth Museum features the stories of Stratford’s rail history, Stratford Festival masks and costumes along with a Taste of Science exhibitions. 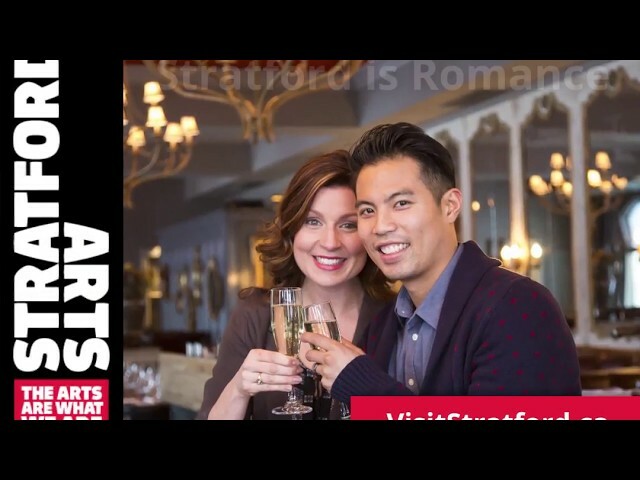 Stratford Festival presents invigorating musicals, definitive classics, modern drama and timeless Shakespearean productions April to October. Gallery Stratford, public art gallery contributing to the cultural heart of Southwest Ontario since 1967. Focusing on regional and Canadian contemporary art, offering unique opportunities for education, exploration and interaction. Castle Kilbride invites you to marvel at the lavish décor in this 1877 National Treasure. The Chocolate Trail is a self-guided tour that introduces you to our world-famous confectioners and bakers. For just $30+HST you’ll get to sample our decadent treats and meet the makers who craft these indulgences year round. Steps to Stardom, tells the story of Justin Bieber’s meteoric rise from busking on the steps of the Avon Theatre to becoming one of the most popular pop stars in the world. The exhibit, created by the Museum in conjunction with Justin and his family, was given access to hundreds of items — awards, clothing, pictures, credentials, personal letters and even running shoes.